When you order from us, you are ordering directly from the luthiers. There is no middle-man to drive up costs. Another factor: we are professional, full time Hurdy Gurdy luthiers. Over the years, our shop has become very specifically tooled to make hurdy gurdies. We have jigs for all the various parts, enabling us to get our work done much more quickly and with repeatable accuracy. For those items that CAN be batch cut, we use the most current, up to date tools available. 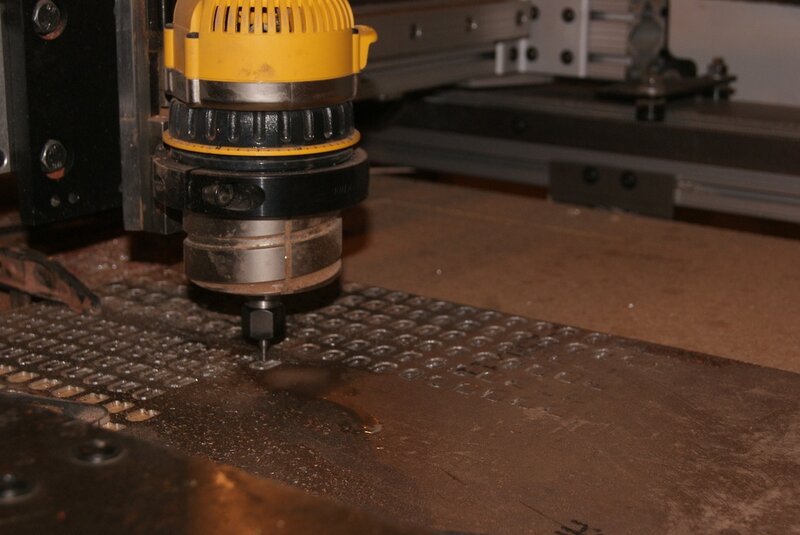 This includes a Cnc machine (which we affectionately refer to as 'Big Johnson') and laser engravers. These tools are controlled by computers and can repeatedly cut wood & metal precisely to tolerances impossible to achieve otherwise. They save considerable man hours over making the many small parts by hand. These are the same tools you find in high end production guitar shops (like Gibson, etc), finally being utilized to benefit the hurdy gurdy world. Another factor: we live in a very rural area, where the cost of operating is considerably less than if we lived in a city. Setting up a woodshop in O'Brien, Oregon is entirely different than San Francisco or New York. We use only the highest quality materials, hand selected hardwoods, and time tested building techniques for each instrument. All these factors come together to create a killer sounding, yet affordably priced instrument. Indeed-not only are we able to provide full featured, great sounding hurdy gurdies for the best prices around; we actually offer features that you won't find anywhere else, such as our innovation 'the Marshall Plate' (click for more details) and our 'melody capo' system. If you were shopping for a guitar or mandolin, you can get an excellent instrument in the $1,000.00-$2,000.00 price range. Why should hurdy gurdies be any different? 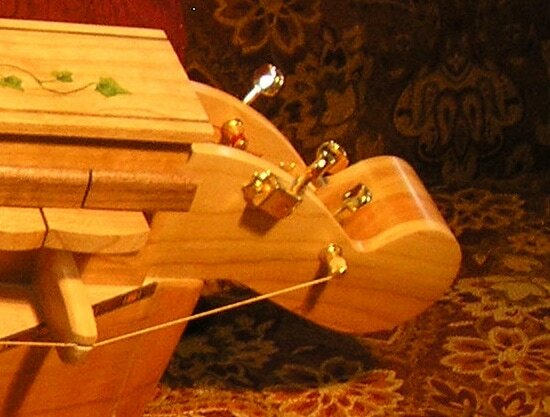 We are very pleased to offer a great sounding Hurdy Gurdy in this price range.